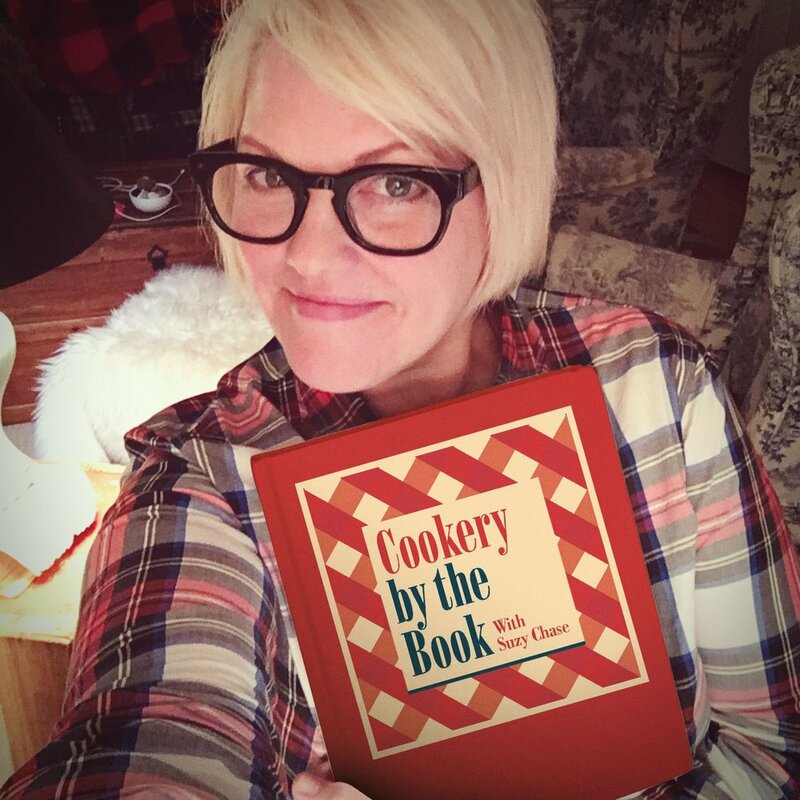 Intro: Welcome to the Cookery by the Book podcast with Suzy Chase. She's just a home cook in New York City, sitting at her dining room table talking to cookbook authors. Francesco: I'm Francesco Brachetti and I'm one of the co-authors of the Avocaderia cookbook, which we released last year and it has been a big success. Suzy Chase: Your world's first avocado bar became an overnight success when it opened in early 2017 in Brooklyn. How did three Italian guys get into the avocado business? Avocados don't even grow in Italy. Francesco: Well that's a funny story actually, because when we had the idea to open the world's first avocado bar I was living in Mexico, and my co-founder Alessandro was living in Seattle. So none of us was actually living in New York. And when Alessandro moved to Seattle, he struggled to find healthy and tasty lunch alternatives. So he was trying to eat simple stuff that were making him feel satisfied and healthy, and avocado was the perfect thing. Living back in Mexico, I used to eat avocado pretty much every single day, and when we started talking about this idea of using avocados as an item to promote a new type of diet that it's very healthy at the same time, but also very tasty we immediately thought, "okay, this is going to be a great success." Because usually when you have healthy food, it's not very tasty, but avocado is the perfect match. It's a super food on one end, and it's incredibly tasty, and rich in nutrients and good fats on the other hand. So that's how the idea of Avocaderia started. Suzy Chase: You did an ingenious thing in April 2016. You launched an Instagram account to gauge interest in all things avocado. Tell me about that. Francesco: Since we did not live in New York, we talked about, okay what is the best way that we can test the market and understand if there is a potential demand for our idea, without actually opening the restaurant, and the first thing that we thought was, let's open a social account on Instagram. Our plan was to promote avocado-based eatery and to understand the feedback and the reaction of the public. The first reaction was really overwhelming. So we got 500 followers the first day we opened the account. People were going crazy over the idea of an avocado bar opening in New York. We got a few articles on random magazines in New Zealand, in South Africa, and it was really overwhelming for us because we didn't have any idea about where we were going to open the place yet, about the menu. But we could see from day one the demand was really strong for this type of restaurant. Suzy Chase: Then, exactly one year later you opened up the original Brooklyn location and had fifty-five customers lined up out the door. Were you freaking out? Francesco: You can definitely see that we were not ready for this type of reaction. So for the first week we didn't even open to the public. We had to close the store entirely to have press coming in, doing interviews and to take pictures of our dishes, pictures of our kitchen and tell customers about our study. And the first day that we got ready to open to the public we were expecting around fifty to sixty customers throughout the entire day, but by the time we opened, we had over fifty customers in line. So that was a good start for us and we ran out of avocados in three hours. It was crazy. Francesco: Yeah exactly that's all connected with our mission and our philosophy. So we think that food doesn't have to be serious to be enjoyable. We believe that food has to be real food and has to be healthy, genuine, not processed food, but it can also be playful. So using real and quality ingredients doesn't mean that you cannot have fun with food, you cannot enjoy your lunch. And we like to combine these playful bites to make people happy to come visit our restaurant and eat our food, and to offer them options that are very healthy with extremely high quality ingredients, and keeping in mind that what we put in our body is the most important thing that we do. Suzy Chase: I love that, because for me, kale is not fun, is not playful, so I love your spin on it, how you wanted to make it fun. Francesco: Yeah I think it's really important to engage with customers, especially sending the message that healthy food doesn't have to be a fad, it doesn't have to be a punishment when it can be something that you enjoy. Suzy Chase: Right. According to the USDA per capita avocado consumption in the United States has tripled since the beginning of the 2000s. You're definitely contributing to that by using 3000 pounds of avocados a month? Is that right? Suzy Chase: Wow, that's crazy. Where do you get your avocados? Francesco: So we only use Mexican Haas avocados from the Michoacan region. For our type of cuisine would be the best possible product that we can offer our customers. Suzy Chase: I saw on you Instagram yesterday you had a quiz, and one of the questions was, is avocado a fruit or a vegetable? Francesco: Avocado is definitely a fruit. The fruit with the least amount of sugar, so it's really the best fruit you can eat in the world. Suzy Chase: How should we buy and store avocados? Francesco: So there are different things that you should consider when you go to buy an avocado. First, you need to understand when you will consume the avocado. The second very important thing that you need to take in mind is how are you planning to consume the avocado? So if you are planning to do guacamole or planning to mash the avocado to get a cream or a spread, you should buy an avocado that is on the softer side. If you are planning to make an avocado salad or if you want to slice the avocado to do a tar-tar, a sashimi, a caprese, you should buy an avocado that is a little bit firmer because you need to be able to cut and slice, and you need a firmer consistency to be able to melt well with the flavor. Regarding the timing, when you buy an avocado that is green and firm, it will take 3 to 4 days to be ripe and to be edible. If you want something that is ready on the same day, then you need to go and search for the ripe avocados and usually it's a bit harder to find in grocery stores and supermarkets. So what I usually suggest is to try to plan in advance and purchase the avocados 3 to 4 days before consumption. Suzy Chase: It was so nice meeting you the other day at your Chelsea location. I really enjoyed the 'chill-out toast,' although I've given up bread for the first ninety days of 2019, but it was still delicious, and the vanilla almond smoothie was so different. Can you describe these? Francesco: Sure. So the Chill-Out has always been our basic toast, the classic avocado toast. We have this amazing multigrain bread from Balthazar Bakery, which we think is fantastic. And then we put avocado mash, which is simply avocado and freshly squeezed lime juice. We use a bit of sea-salt, black pepper, and then we garnish with shichimi, which is chili flakes from japan with tangerine peel that gives it a little twist compared to the classic version. This toast is one of the best salad for breakfast, it really gives you a lot of energy in the morning. At the same time, it's a very healthy combination of our ingredients, so we our customer enjoy this toast especially for breakfast, or after lunch as a light snack. Regarding the vanilla almond smoothie, it's something that it has in common with the other smoothie is the creaminess. So we see a lot of customers coming in and they say,“wow, you guys do avocado smoothies? How would that be like?" Because they also see avocado do savory dishes, but the beauty of avocado is that it's actually such a versatile ingredient that it can be combined with smoothies, with dessert, especially in smoothies. It gives the smoothie a rich creamy consistency that is very hard to obtain with other ingredients. So for example, in the vanilla almond, we mix base, almond, almond milk, agave, avocado, and the result is amazing, because it is a nice nutty taste with a very, very creamy consistency that nuts usually don't have. Suzy Chase: Did a woman really fly from Australia to New York to taste your dishes? Francesco: Yes, yes she did. Francesco: And it was kind of amazing for us to really live that moment, because that was the moment we realized how big of an impact we had. And reaching out someone from the opposite side of the world, coming to a city like New York, just take a taxi, and come straight to your restaurant really indicated the affection and the passion that people have for avocado. So this emotional connection that they have with the fruit that is way beyond a restaurant, it's really an attachment that goes deep, deep into our customers. Suzy Chase: Talk a little bit about your recipe for chilled cucumber soup. I read that you even wore a cucumber soup face mask while you wrote this cookbook. Francesco: Yeah, that's again part of the beauty of avocado is that it's so versatile that you can literally do anything with it. Like in the store now we sell an avocado body scrub, so there are endless applications in beauty. And there's a very easy face mask that everyone can make at home, and it's something that I would recommend a lot of people to do. And the cucumber soap is one of my favorite things to be doing in the summer because it's very light. It's very refreshing. The beauty of it is that, [inaudible 00:11:16], it's very light, especially on a warm summer day in New York, and it's full of ingredients that will provide you with good [inaudible 00:11:25] like the cucumber, it has spinach, lime juice. So it's really a sense of freshness, and at the same time the avocado gives you the energy that you need to go through the day. So that's one of the best things you can be doing summer hot days in New York. Suzy Chase: One of the most interesting recipes I found in this cookbook was on page 138, the panko-crusted avo-wedges with tangerine sweet and sour dipping sauce. Describe this. Francesco: Yeah, so this is another very interesting recipe that we actually had a chance to serve our customers at some outdoor marketing in [inaudible 00:12:02] and it was a great, great success. And again I think that part of the beauty of this recipe is that you're eating something that reminds you of a french fry, but it's extremely healthy because it's simply avocado. We use panko to make the crust, so we don't use any processed or compostable dipping, and the flavor is incredible. So it's very crispy on the outside, and it stays creamy on the inside. It's like eating an incredible french fry, that could be the closest thing that I can use to describe it. But it's really something that's out of the ordinary, and I would recommend any person that buy the cookbook to try this at home. Suzy Chase: The back of the cookbook has menu ideas, and a list of vegan, vegetarian and gluten-free recipes. Talk a bit about that. Francesco: Yeah, when we started this project, the idea was always to keep our menu very focused on plant-based items and healthy food. And of course this idea translated in a menu that is very focused on vegan items or at least item menu that can be made vegan. So for example, we cook a lot of vegetables. We use vegan protein like tofu, we use seitan. And we think that it's especially during this time where people are consuming less and less red meat, we think that it is very important to provide alternatives that are healthy, and that also gives you the right nutrients for this type of diet. Suzy Chase: Okay, so you have 21 funky Italian expressions in the back of the book. My favorite is, and I'm gonna butcher the pronunciation, “non e sempre domenica?” What does that mean, and did I really kill the pronunciation? Francesco: -Means, literal translation is, “it's not always Sunday.” And Sunday for us in the Italian culture, I believe this is due to the religion ... So you have our country where Sunday is the day that everyone goes to church, and do not work. So it's the day where you have lunch with the family, you relax, and you associate Sunday with a good time. So when you say, "it's not always Sunday," it means you know that the rest of the week you have to work, you need to get things done, and there is a time to rest and relax, and there is a time where you actually have to work. Suzy Chase: If you want to wow your friends, you've included a step-by-step guide on how to make an avo-rose. I love that. Francesco: This is actually something that we came up, I would say, by experimenting and trying to find a new solution for one of our toasts. So we were really trying to offer a chill-out toast with a poached egg on top. When we tried the same version with a hard-boiled egg, it was very easy to lay out, because it was like the egg, and we kind of arrange it on the toast in a simple way. But with the poached egg, it was much harder to keep the egg in the same place, so we tried to arrange the egg in the center of the toast, and then it slides off, and it falls off the plate, and it was really not working out for me, in a logistic point of view. Some day we decided, okay what if we make kind of a cage for the egg, so that the egg can stay inside [inaudible 00:15:51], don't fall out, and in the toast, and when the customer have it, it looks pretty and it's easy to eat? And we started to play around with the avocado, trying to find a shape that could fulfill this goal. And we just started to cut, and shape it, and we tried with a heart. And then we just made this circle that came up as a rose, and we said, "this is perfect. This looks extremely pretty on the toast, we can put the egg in the center, the egg is gonna stay there forever." And that's really fulfilling a real need with something that looks pretty, and that's really what we take as a guideline when we design menu dishes. Suzy Chase: So for my segment called 'My Last Meal,' what would you have for your last supper? Francesco: Well, I guess it would have to be something very traditional of our country, but incorporating avocados, so I would go with the Mediterranean toast, which has Kalamata olives, feta, cherry tomatoes, sun-dried tomato, and of course avocado mash on top. I get the of Avocaderia, and the best of the Mediterranean diet together. Francesco: You can find us on Instagram @avocaderia, and you can find us on our website at avocaderia.com, and Facebook, and twitter @avocaderia. Suzy Chase: Awesome, thanks for coming on Cookery by the Book Podcast. Francesco: Thank you very much for having us. Outro: Follow Suzy Chase on Instagram @cookerybythebook, and subscribe at cookerybythebook.com, or in Apple podcasts. Thanks for listening to Cookery by the Book Podcast, the only podcast devoted to cookbooks since 2015.